Symphonic Metal Masters KAMELOT return after 2 years of touring the globe and 12 months of intense writing and recording. In mid-2014 the band entered the studio to begin recording their follow-up to the highly acclaimed chart topping album Silverthorn. The new album titled HAVEN will make KAMELOT history as it will be released worldwide (excl. Asia) on Napalm Records/Universal and Napalm Records/ADA/Warner as an exclusive licensing deal through the band's KAMELOT MUSIC LLCon May 5, 2015 (North America) and May 8, 2015 (Europe and rest of the world) and will showcase KAMELOT at their finest! Today the breathtaking artwork, track listing and official release dates have been unveiled. HAVENwill be available to pre-order in multiple exclusive and limited bundle packages at the Napalm Records American & European Webstore - starting Thursday, February 26, 2015. It's time to step into the cinematic, epic and emotionally dynamic world of HAVEN. 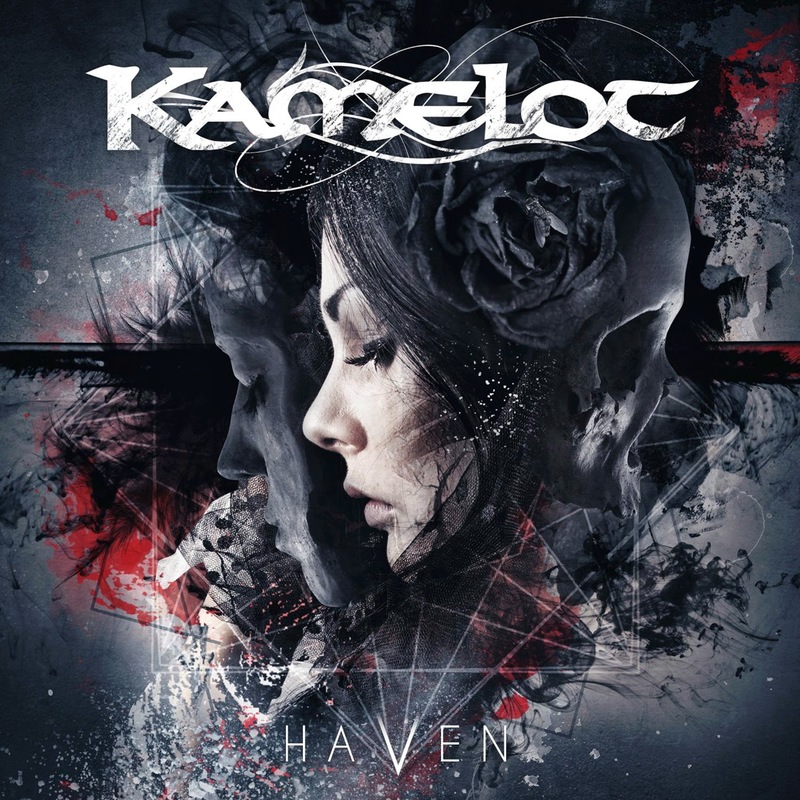 The new album features all the signature elements of KAMELOT but the band steps out to add new and modern elements along with bringing some amazing emotions that harken to the band's earlier days. KAMELOT's artsy music is chock full of symbolism relating to how the band feels about the world and the current state of civilization. "The HAVEN album has an undertone of a world going insane. There is a grey cloud that is forming over our world. We are here to find that silver lining with an album that is both dark and melancholy yet uplifting and giving the listener a HAVEN in a world gone mad. We are really proud of the song elements and diversity on HAVEN" adds guitarist Thomas Youngblood. "The songs run the gambit of dark and melancholy to uplifting and melodic elements." states vocalist Tommy Karevik. "HAVEN has an aggressive edge to it that is the representation of the band as The Revolutionary Change in the storyline," Kamelot's Oliver Palotai tells us.